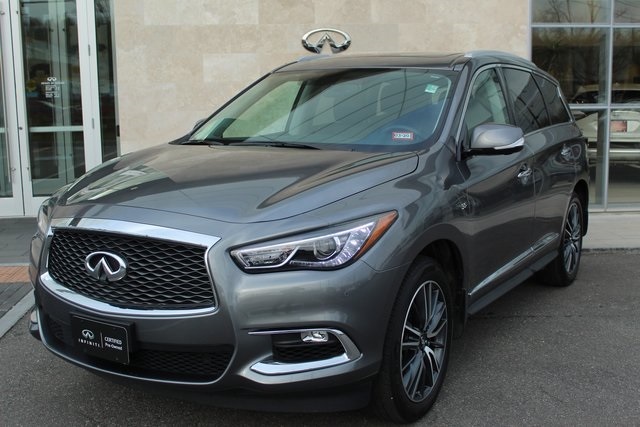 INFINITI QX60 - NAV - PREMIUM PLUS - 20 INCH WHEELPKG! 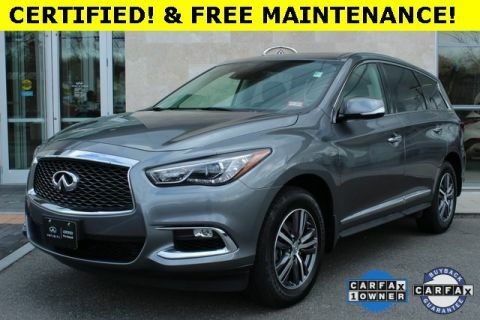 2018 Graphite Shadow 3.5L V6 CARFAX One-Owner. 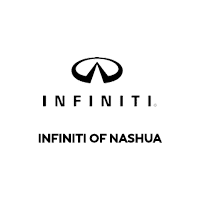 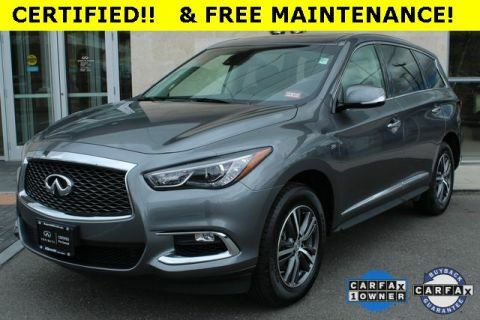 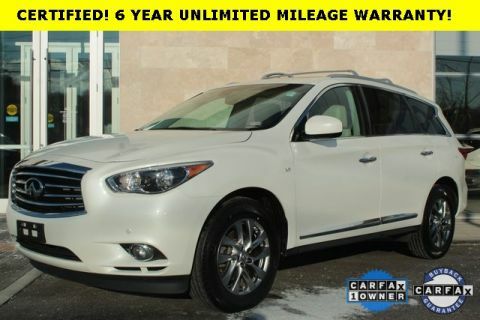 **ONLINE PRICING INCLUDES FINANCING THROUGH IFS AT STANDARD RATES**, **AWD**, NAVIGATION, **BLUETOOTH*** ***HANDS FREE***, ***MOONROOF***, **LEATHER SEATING**, **HEATED SEATS**, **HEATED STEERING WHEEL**, 20" Wheel & Tire Package, 2-Way Driver's Seat Power Lumbar Support, 6 Speakers, ABS brakes, Air Conditioning, AM/FM radio: SiriusXM, AM/FM/CD/MP3 Audio System, Automatic temperature control, Cargo Package w/Premium Plus Pkg, Cargo Protector, CD player, Dual Occupant Memory System, Electronic Stability Control, Enhanced Intelligent Key Memory, Entry & Exit Assist, First Aid Kit, Front dual zone A/C, Heated door mirrors, Heated Front Seats, Heated front seats, Heated Steering Wheel, Illuminated entry, Low tire pressure warning, Navigation System, Outside Mirrors w/Reverse Tilt-Down Feature, Power Liftgate, Power moonroof, Premium Package, Radio data system, Radio: AM/FM/CD/DVD w/MP3 Playback Capability, Rear air conditioning, Rear Bumper Protector, Rear Cargo Cover, Rear window defroster, Remote Engine Start, Remote keyless entry, Roof Rails, Traction control, Wheels: 20" 15-Spoke Aluminum-Alloy.